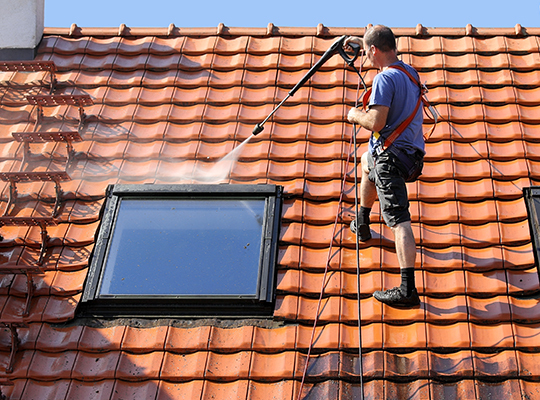 First and foremost, you will want to call a professional who specializes in mold, mildew and algae removal. HomeMD, comes highly recommended. 1. 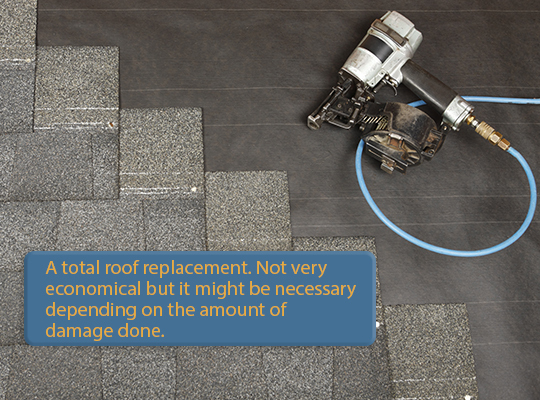 A total roof replacement. Not very economical but it might be necessary depending on the amount of damage done. 2. A more inexpensive way is to spray a mixture of 50% bleach and 50% water. However, please remember to protect any plants that might get sprayed. 3. Copper is lethal to algae. Inserting a 6-inch wide strip of zinc or copper under the row of shingles closest to the peak of the roof leaving an inch or so of the lower edge exposed to the weather can keep the algae from coming back. Again, unless you are very comfortable working on your roof, please call a professional to do inspections and help get rid of the issue. HomeMD specializes in the mold testing as well as all home inspections. Schedule a mold inspection today with HomeMD! Read next: How does the type of shingles affect mold and algae?